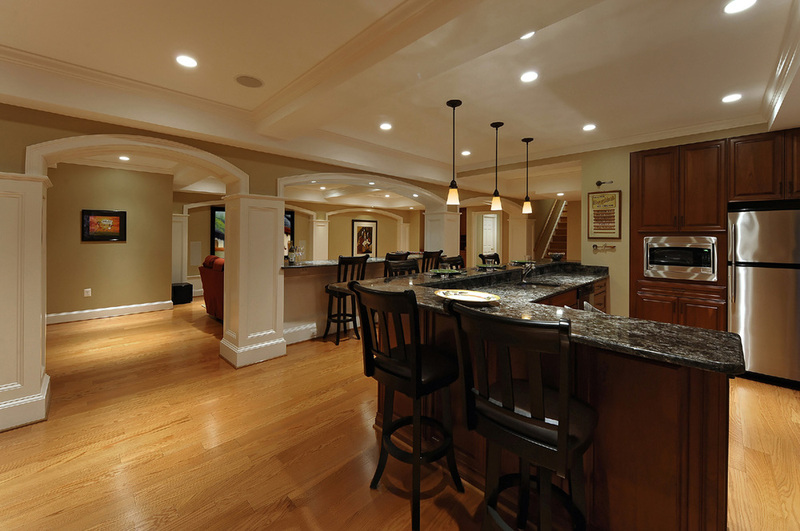 All modern basements use some type of waterproofing system to keep the space dry and moist free. Either on the backfilled side (positive side) or inside face to the basement walls. As a minimum all basements should have a high-quality positive side single membrane waterproofing system installed as well as all the support items and products that are required by the manufacture. Membranes should be installed under the slab and wrap up the sides of the footings and onto the wall and properly terminated at grade. Is Waterproof the Same as Vapor Proof? A basement with an approved, properly installed, and inspected waterproofing system can make a basement waterproof, but does it make the basement vapor proof? Some membranes are considered waterproof, but not “vapor proof”. According to Lee Woolsey of Lowry Waterproofing Supply, basements’ concrete mat slabs and walls can retain a lot of water captured from wintertime construction exposure. Out-gassing of retained moisture can take a year or more if enough water is retained and adequate ventilation is not provided. Even properly installed waterproof membranes can “leak” vapor, but are still waterproof. I have seen owners/contractors run heaters and dehumidifiers to lower the moisture level in the basement space. At Palo Alto Concrete we have also applied epoxy coatings to our concrete slab floors in order to stop any vapor from getting through and potentially damaging expensive hardwood floors being installed. Flooring contractors use moisture meters to establish maximum percentage of moisture allowed on concrete slabs prior to installation of their wood flooring. Each project has its own risk to water leaking in to the basement space. Some basements are built over existing soil that is gravel in nature and along with a comprehensive perforated pipe and drainage system at the bottom the basement water pressure should be minimal and leaks a low risk. Other basements are built in a high water table and the excavated hole needs to be dewatered during the construction process. 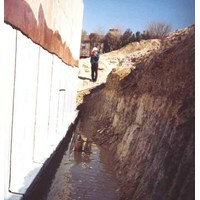 When completed no drainage system will be installed and water will be wrapped around the basement structure. These basements experience more water head (pressure) to the membrane system and water stops and are at a higher risk of developing leaks. Each project should be evaluated for site conditions, wall and footing design and configuration, slab and wall penetrations and risk to leaking and if a positive side vapor barrier is needed as well. When you invite a contractor into your home, you are expecting that the person knows what he or she is doing and will fix your problem, not make it worse. So many times hiring an under qualified friend of friend has led customers into a botched project that ends requiring them to spending more just to fix the work than it would have cost them to do it right the first time. Knowing what to look for in a contractor and how to size him up can seem like an overwhelming task. Here are 6 easy steps to avoiding a project nightmare that any good contractor should be more than happy to accommodate.